ICYMI – Check our previous MP Beast Wars galleries here: Optimus Primal, Cheetor, Optimus Primal (Legendary Ver), Dinobot. Shadow Panther is in stock and shipping now at TFSource! 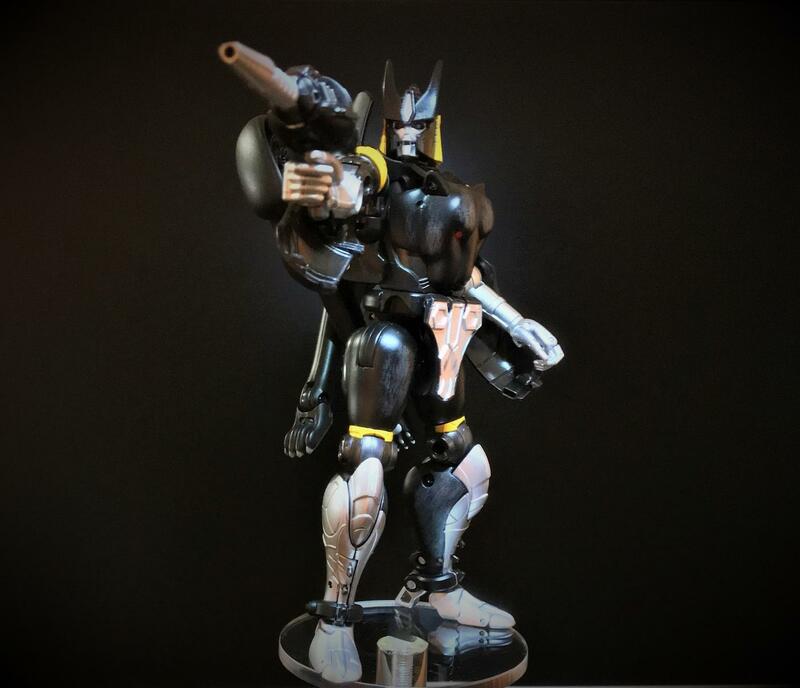 Recent Masterpiece Releases: Masterpiece Pre-Orders, Shadow Panther, Dinobot, Optimus Primal, BW Megatron, G1 Megatron. I got Shadow Panther this week, because with Megatron imminent, I really wanted a Cheetor who didn't feel like trash. And Shadow Panther feels so, so much better. In a first for me, I transformed him into a robot and that's how he's been since Wednesday. 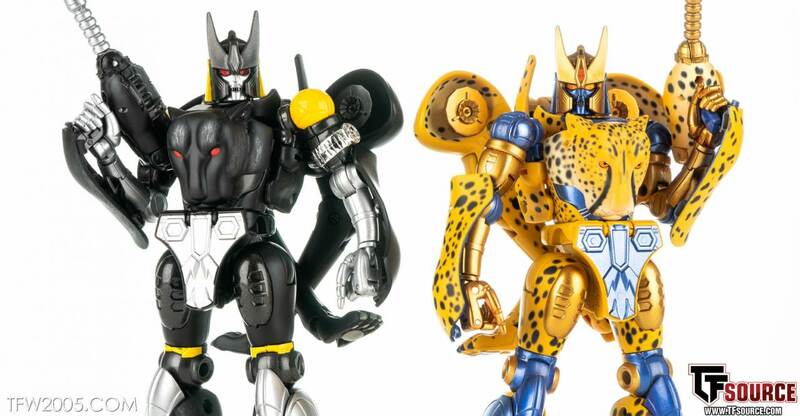 In some ways, I know that SP is actually built better (like the shoulders, the swivel there is smooth and not at all scary, unlike Cheetor), but I'm leaving Cheetor as a cat, and SP as a robot action figure so things like the waist tab and the shoulder drop don't wear out. So far as new bits go, the communicators are nice to have (and can be used by Cheetor, no issue), while I don't think the mask works- it feels a little flat, like it should have more of a beak/snout. I think the chrome does it a slight disservice as well, since sculpt wise I could see it as a kind of skull mask. Speaking of faces, the standard set work surprisingly well despite the lack of remolding. I didn't like the neutral face especially on Cheetor, but it and the smirk work nicely for this Predacon. I'm not happy that I felt the need to buy Shadow Panther to get a Cheetor who didn't feel like trash, but I at least got a solid version of the figure, and one which definitely feels better than my Cheetor ever did. Now I just have to never transform him, and hope that just being an action master isn't too much to ask of the mold, long term. 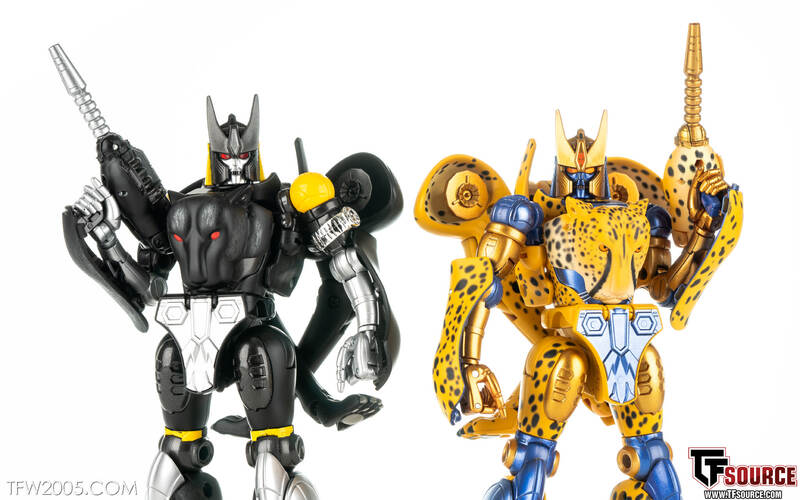 Just chiming in to make sure you know that the Cheetor reissue that just came out has the mould upgrades from Shadow Panther like the shoulders and tighter joints all around. I got mine from Amazon Japan for a great price but I have no idea if it’s still available for that price. I would assume no, but you should check. Why on Cybertron did no one make a Ravage head for this? That's the only way I would pick this guy up. Well I don't know how you can 'exaggerate' breaking – in the cases of the people it happened to it obviously happened. But yeah, a lot of people whose 34S didn't break obviously don't feel the need to come online to report that. In any case, I'm ordering the MP-34 reissue from Amazon Japan, since they have the best return policy in case of a QC issue like this still happening with Cheetor. Because a lot of people – for whatever reason – will read the reports, and start passing it along as if it's a common occurrence, and often word it as if it happened to them as well. The issues are almost always exaggerated. Glad to confirm that's the case as I too would like to give this figure a shot when I have some extra funds. May have to give this one a shot, then. Got all other Beast Wars MP and variants. Thanks, guys. Ok. So the frequency of breaking, is it exaggerated? He sure does look good. I'm still torn about whether to pick him up or not. Maybe when we get a look at Grimlock and Lazorbeak. Anyone else own this guy and he is still in one piece? I called him being the first. Easy redeco . Mines still boxed up. I'll probably not even transform him back and forth once, just leave him in bot mode. Can someone explain where exactly he's breaking? I opened mine two weeks ago, transformed it once from alt mode to bot mode and back, and noticed the very very tight joints, especially on the arm guards. Mine didn't have any issues on that first transformation cycle, but having read about the issues mentioned here, I'll be both very wary of transforming him again or even getting him out of the box. Only reason I ordered him is because I have two black cats at home, and I do like the Cheetor mold, but as far as I'm concerned, he doesn't really fit in with my display of regular BW characters.